Flowerbed St Stephens Green - City Centre, Dublin, originally uploaded by infomatique. This photograph was taken on Easter Sunday, 2006. 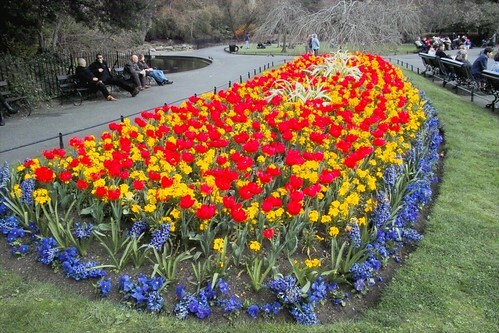 The location is St. Stephens Green in Dublin.